Canna Blueberry Sparkler is a new hybrid we developed here at Brians Botanicals. 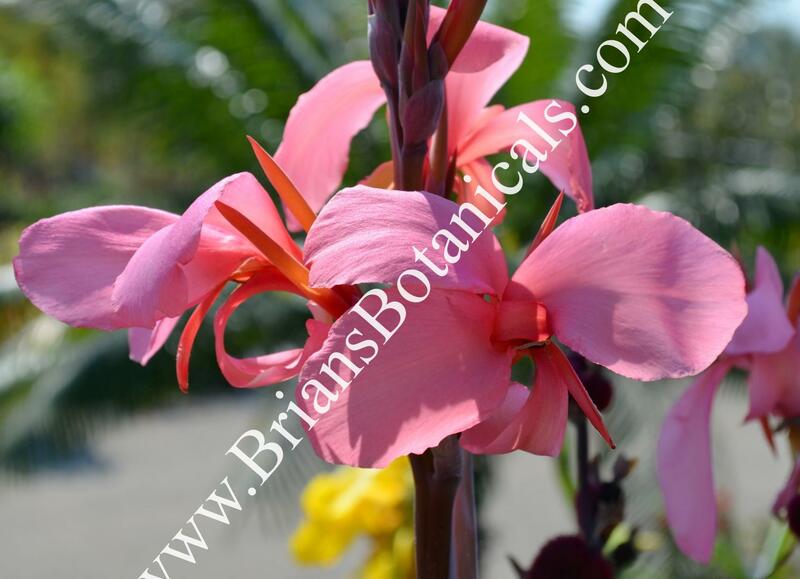 It looks similar to Canna intrigue with narrow purple to blue leaves the flowers are a light pink color and are medium size held above the foliage. It has been a easy grower and should give a bit more flower show compared to intrigue and others. A great contrasting plant in the garden. Plants are growing in Tissue culture and no signs of virus present.